Thinking about remodeling your business’ office space? Lucky for you, Better Office Furniture in St. Charles has a surplus of stationary desk chairs and office couches that are guaranteed to create the perfect setting. As your local office furniture experts, we know that your office design says a lot about you as a leader and greatly influences the environment that your employees work in, and the space your clients visit. Studies over the years have shown that employees with comfortable and ergonomic desk chairs tend to be more productive and businesses have higher retention rates. Meanwhile, investing in an office couch provides an open environment for your employees to take a break during the day, rejuvenate and feel a greater creative balance in their work. In addition, good stationary desk chairs and office couches can be the perfect touch to your office space for your clientele, as it invites them to be an integral part of your office family by offering a sense of being at home. This is, in part, because the atmosphere of your office setting directly impacts the mood, tone, body language, and energy experienced in daily business life. Better Office Furniture believes that an office chair should be both built to last and comfortable, without sacrificing your entire budget. It is one of the first investments that need to be made for you employees and executives, so you want to be sure to invest in high-quality office chairs, rather than buying a cheap box store chair that is bound to break in less than a year. While we have previously discussed why ergonomic chairs are better for your employees, particularly rolling desk chairs, having beautifully crafted stationary desk chairs can really tie a room together for your customers. After all, you want your clients to feel welcomed when they walk in the door and be comfortable when sitting down in regular meetings or waiting in your reception area. This Cherry Wood Guest Chair will provide a classy element to your office setting and are a perfect fit for your clients to sit across from your desk or in the reception area. Not a fan of Cherry? We also have wood stains available in Espresso or Modern Walnut! The Black Captain’s Guest Chair is great for more traditional office settings. It features an individual brass nail head trim, traditional Mahogany wood finish, a sturdy hardwood frame, and a sag-resistant spring seat. 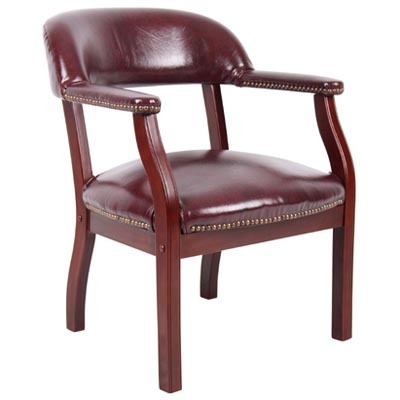 This guest chair is also available in Burgundy vinyl. 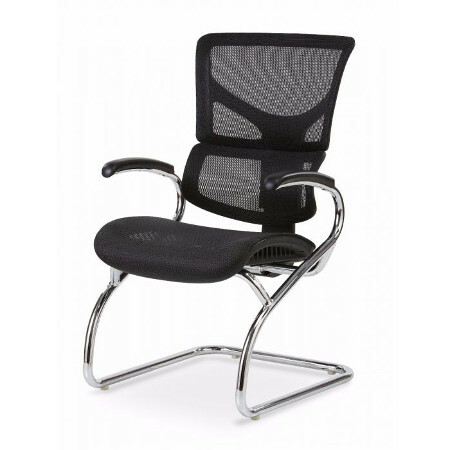 The Big Man Guest Chair is ideal for employees and clients who are up to 350 pounds. They are beautifully upholstered with our ultra-soft and durable CaressoftPlus™ upholstery and feature a black steel sled base, much like our Black SledBase Guest Chair. Do you own a café or restaurant? These heavy-duty stackable café height chairs are very sturdy, holding up to 400 pounds, and easy to clean. Plus, ask about our quantity discounts available! Looking for a guest chair that is sturdy and stylish, while also comfortable and fits your budget? The Sturdy Armless Sled Base Guest Chair is perfect to customize your business setting or fit your current décor with custom fabrics in a variety of colors. Looking for a similar chair with arm support? Check out this same style of chair with arms! While you might not realize it at first, an office couch can make all the difference for your employees and clients; whether in the reception area, set up as a relaxed meeting area, or in your executive office space. When set up as a meeting area or in the reception space, it ensures that your entire office space functions at its highest capacity. Clients and customers will feel more relaxed when they enter your business, which can lead to more stimulating and effective interactions and potential sales. While your employees will have the ability to have a more relaxed meeting space to brainstorm and collaborate, or have the freedom to take a power nap at work. The latter can be particularly helpful in an office setting, because businesses are more likely to suffer and be less productive if their employees are sleep deprived, which can lead to health issues like depression, attention and memory problems, and even cancer. In fact, studies in the last five-years have shown that even a ten-minute nap can help improve a person’s immunity, sustained energy, emotional stability, and cognitive functioning. Furthermore, as a leader, having a couch in your office can be an essential component to demonstrating true, authentic and open leadership; allowing your employees to feel more relaxed during difficult discussions, like reviews and discussing their role, and ensuring your clients feel comfortable when having annual consultations. In other words, it allows all who enter to feel an additional element of transparency in the workplace and see the workplace culture as being more encouraging and open-minded. Interested in learning more about our available stationary desks and office couches? 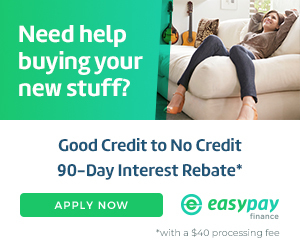 Give us a call today at 314-266-9083. Also ask about our furniture shipping and delivery options nationwide! How would you like to feel less stressed, less stiff, and ready to take on the rest of your day after you leave your 9-to-5 work day? What if I said that investing in ergonomic chairs could vastly improve your health and the productivity you maintain in your workspace? While it is no longer a little-known secret, there are still many questions that people just like you have about the benefits of ergonomic chairs. So, Better Office Furniture of St. Louis, MO is here to answer all your common questions about ergonomic chairs and how they can improve your life in the office or at home. Unlike your run of the mill office chair, an ergonomic chair has some additional features that place specific focus on key parts of your body that experience the most tension, including the neck, arms, back and knees. Ergonomic chairs can benefit a wide-range of individuals, yet each person should take into consideration their specific height and weight, their type of desk, and what type of tasks they are regularly required to perform in their home or office setting. Specifically, ergonomic seating often includes a cushion that allows you to sit comfortably for hours at a time, armrests that allow your shoulders to remain relaxed and have your elbows sit at a 90-degree angle; and a seat that is height adjustable to allow your feet to remain flat, your thighs to be parallel to the floor, and your arms to rest at the height of the desk. In addition, the backrests of ergonomic chairs usually can adjust up, down, and at an angle to preserve your posture; while also including low back support. Lastly, ergonomic chairs may swivel and have wheels for easier movability, to reduce the need to reach for objects and focus on different office items (e.g. telephone, printed materials, keyboard and mouse, monitor, stapler, etc.) without the need to turn your head constantly. Why are ergonomic chairs important? The United States has continuously spent more on healthcare than any other country for quite some time, particularly to address common safety and health problems associated with poor business environments for employees. This includes American employees spending more time sitting at work, in part due to shorter and fewer breaks, and less time exerting any physical effort throughout their overall lifestyle. While some of us feel it more than others at the end of each work day, consistently sitting at a desk every day places extreme pressure on specific and vital areas of our bodies. When you are improperly seated for an extended period, such will inevitably lead to health problems like lower back, knee, wrist, and neck pain due to inadequate support. Thus, ergonomic chairs are important because they encourage less of a sedentary lifestyle and ensuring that your body is properly supported no matter what. What are the benefits of ergonomic chairs? One of the most sought after questions is, “Do ergonomic chairs really work?” The answer is yes, assuming you have picked out the right ergonomic chair to fit your needs. If your chair is well-designed, like those throughout the Better Office Furniture selection, it will allow you to sit in a more fixed and balanced position. And while an ergonomic chair provides you with more balanced support, it is still important for you to be aware of how you are sitting and that you refrain from slouching. If your chair and the rest of your workstation fits your working needs, then you are likely to see a gradual number of health benefits. Unlike a traditional chair, an ergonomic chair reduces the amount of stress placed on your main body structures. The cushion, headrest, and backrest provides lumbar support that encourages you to correct your posture, while height adjustable features allow your feet to remain flat on the floor, your knees at a 90-degree angle, and your hips parallel to the floor. These will not only reduce stiffness and back pain, due to the support of your spine’s natural curve, but you will also experience long-term benefits for yourself and your company. Studies have shown that when employees experience less pain, stiffness, and fatigue in the office setting, they can have improved productivity due to being more present and focused on the various tasks of the day. 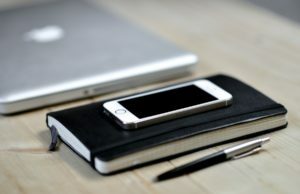 In addition, reducing or eliminating these distractions encourages employees to interact with co-workers and clients more easily, while also providing more energy towards creating more effective projects and solving office issues more readily. All of this can lead to employees missing fewer days at work, increasing the quality of work being performed, reducing employee absenteeism and retention rates. It also increases job satisfaction and assurance overall. Lastly, businesses are more likely to adhere to OSHA requirements due to fewer workplace injuries and illnesses, and ultimately will save the company tons of money that can then be put back towards employees and improving the office environment even further. How long do ergonomic chairs last? While this can depend on the initial price and quality of the chair purchased, and if you have selected an ergonomic chair that directly fits your needs, the average office chair should last anywhere from five to ten years. The lifespan of your ergonomic chair will also depend on the environment in which your chair resides, including the temperature, how often it is used and how the chair is treated overall. What types of ergonomic chairs does Better Office Furniture offer? While Better Office Furniture of St. Louis does have several beautifully crafted guest chairs with and without rollers, we also offer a great selection of different ergonomic chairs to suit your needs. If you are looking for something more modest in price and yet high in features, we have some used Steelcase Criterion or Drive Task Chairs and Haworth Improve Chairs that are just under a $100 (these have sold out since this blog was originally posted, but contact us for other options!). If you are looking for an ergonomic chair with more cushion and expanded features, our Mid Back Cushioned Chair, Task Chairs, Express KB Series, and High Back Executive Chairs are all under $300 and will provide you with the best arm and back support. 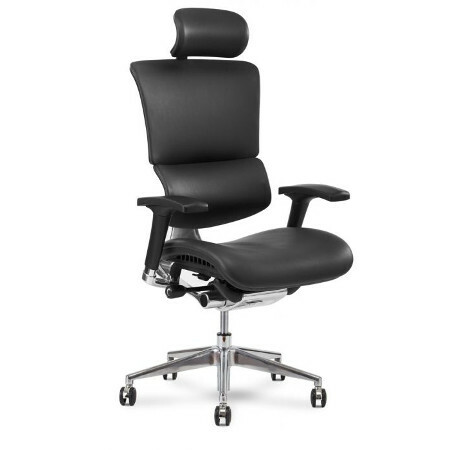 If you’re able to spend a bit more to get the ultimate support from head to toe, check out our Express ON Series or Drafting Chairs, Task Chair, Plush Big Mans, or the incredibly comfortable Global 2526 Robust Two Tone 500 Capacity Office Chair that are guaranteed to make you look forward to your everyday workday. 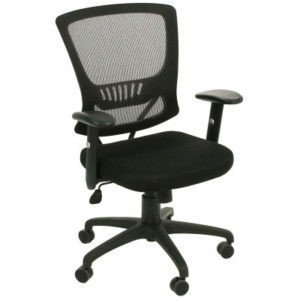 Have any questions about Better Office Furniture’s wide selection of ergonomic chairs or other ergonomic office furniture? Want to know which chair will best suit your needs? Give our founder and owner, Salena Mikos, a direct call at (314) 266-9083 or email us so we can help you find the best chair to fit you and your office space!